In Sanskrit chakra means "wheel," therefore this asana is called "the wheel pose." In fact, however, it resembles more of a half wheel or a bow, which is why some authors refer to it as ardha chakra asana and reserve the term chakra asana for a more difficult version that more closely resembles a wheel. 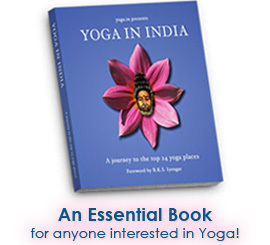 Other authors have referred to this asana as urdhva dhanur asana or the "inverted bow pose." It is most commonly referred to, however, as chakra asana. We move into the chakra asana position by first coming into the viloma asana learned earlier. Lie flat on your back and bend your knees in such a way that the soles of the feet remain flat on the floor about shoulder-width apart—heels close the buttocks. Raise your hands, bend your elbows and then extend your wrists, placing the inverted palms on the floor beside your head, under the shoulders. Raise the body gradually by lifting the hips up off the floor and simultaneously pushing with the legs and arms, bringing the top of the head to rest upon the floor in viloma asana. Continue to push with the arms and legs, endeavouring to straighten the arms as fully as possible. Try to old this position for ten to 15 seconds in the beginning, gradually increase the duration. It is claimed that ageing is delayed or even stopped by the regular practice of this asana. As long as the spine is still flexible, the yogis say, there will be youth and vitality. Chakra asana tones the spine, making it strong and full of life. The contents of this web page are intended for informational purposes only. 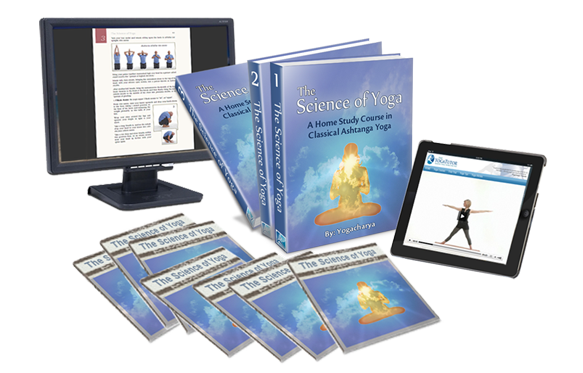 One should not engage in any yoga practices based solely upon the directions given on this web page or any other page of this web site. Anyone atempting to perform any of the yoga exercises introduced on this website assumes full responsibility and does so at their own risk.